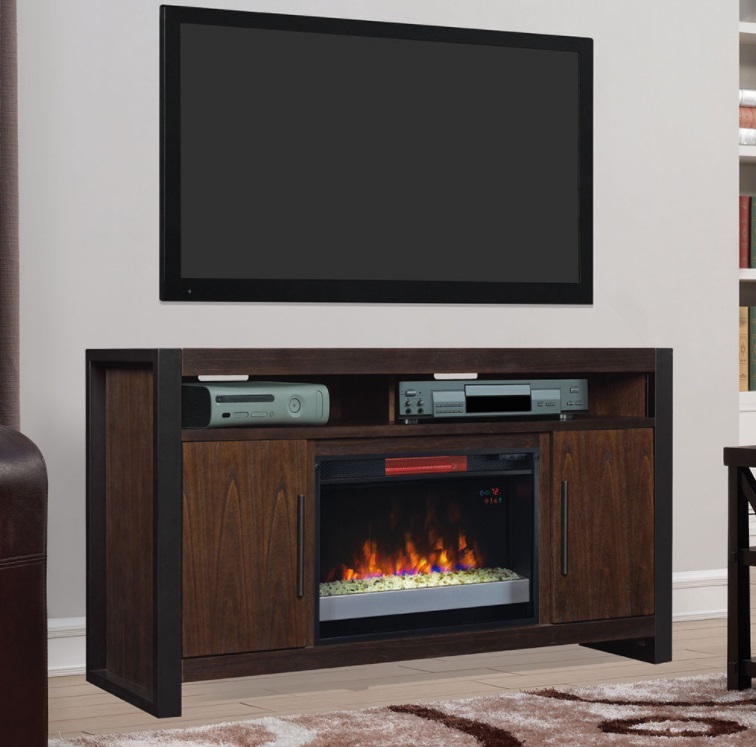 The Costa Mesa TV stand for TVs up to 65” and up to 90 lbs. features Antique Coffee finished wood and Dark Pewter metal to create a contemporary and mid-century modern inspired piece. 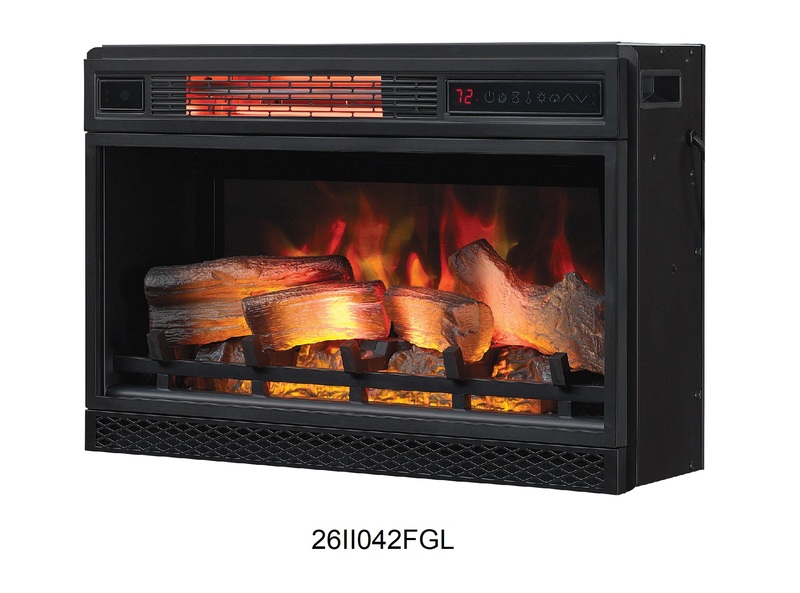 It offers plenty of storage with two open shelves and two side cabinets with soft close hinges and adjustable shelves. 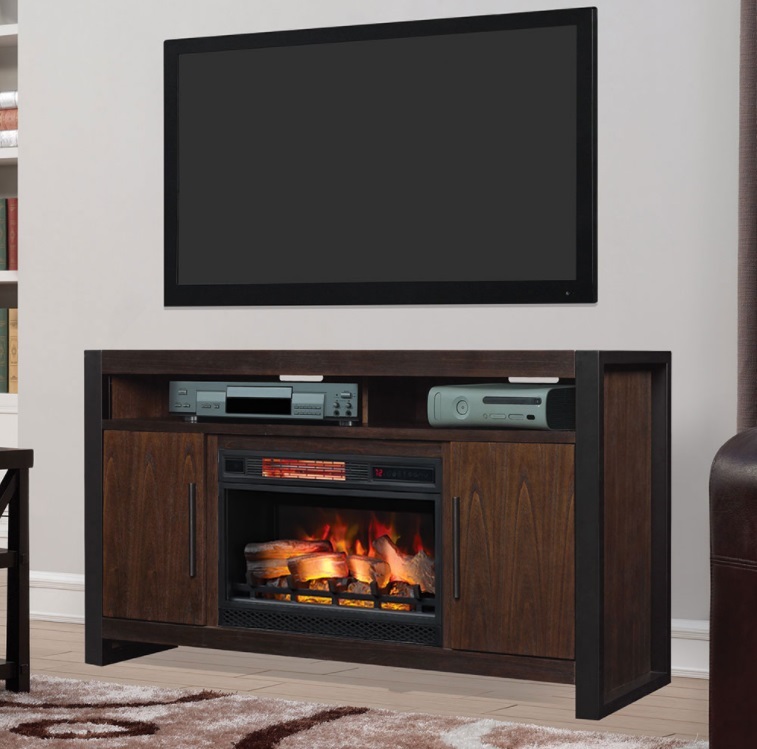 This TV stand is part of the AIM "Assembles in Minutes" product line and does not require any tools for assembly. 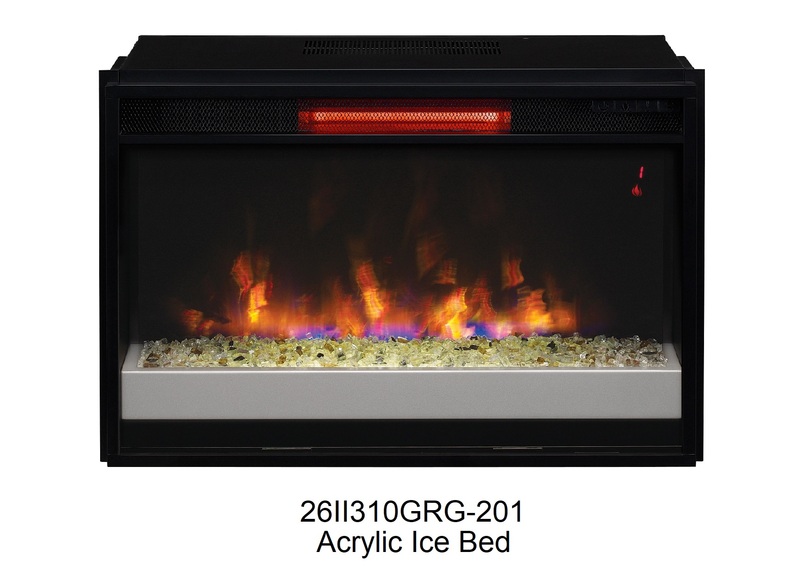 The Costa Mesa TV stand complements a ClassicFlame 26" electric fireplace insert in either standard or infrared heat and in realistic log or contemporary glass pebbles (Please select in options).